Thanks to Mr B for this photo of the marquee with the ground-bar kit installed in his garden. "Sturdy and easy to put up and take down." "one comment box was wide open had to check contents"
"Already using it and it is great. 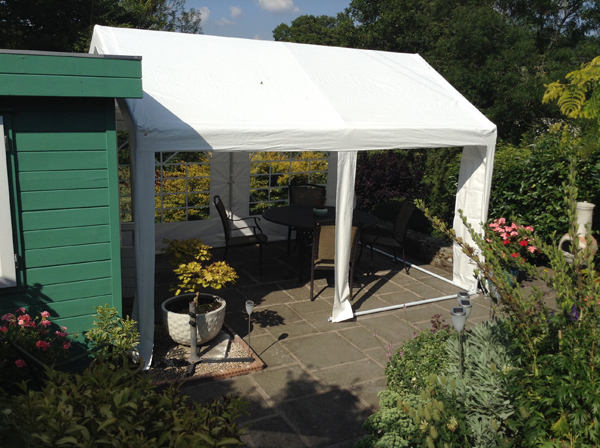 Just what we were looking for"
"Very easy to put up and looks great"
"Although we haven't used at the moment as for an event in September, the quality is really good and the speed in which you delivered was amazing - Thank You"